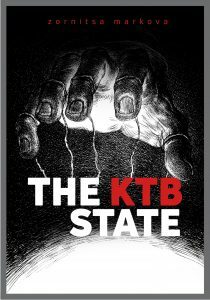 'The KTB State' - The Book | КТБ - какво се случи? THE KTB STATE is the result of a two-year investigation by six journalists (not counting the baby of the driving force behind the project — Zornitsa Markova), some of whom have had an interest in the topic dating back to 2008 and 2009, when they first put ink to paper. The investigation is structured as a chronological account of the history of the CORPORATE COMMERCIAL BANK (KTB) from its establishment until its collapse. It tells the story of the largest bank failure in Bulgaria. The preparatory and investigative work carried out under the KTBfiles project involved more than 250 meetings with different sources, approximately 30,000 pages of documents (reports, contracts, correspondence, lists, registers, financial records, etc.) put under close scrutiny, more than 1,000 phone calls, and at least 50 applications for access to information. – A rich selection of KTB-related documents. Several months later, the website’s content was expanded with the “KTB Top 100” sub-project — a comprehensive, document-based analysis of the bank’s 100 biggest borrowers with an aggregate share of more than 80% of its loan portfolio, detailing the loans obtained by each company, the way in which the money was spent, the current financial standing of the borrowers and the assets acquired with the money borrowed. The “KTB Top 100” project largely answers the question: Where did the money go? During the investigation we extended, either in person or through lawyers and press offices, dozens of interview requests to key players in the events described in the book. Many of them, including Delyan Peevski, Boyko Borisov, Ahmed Dogan and Plamen Oresharsky, declined our invitations to share their views on the events. In late August 2016, after several attempts and two planning visits to Belgrade, the KTBfiles team finally interviewed Tsvetan Vassilev. A full transcript of the interview is available on the website. In terms of content, the first-ever interview with a genuine insider is intrinsically invaluable. It contains previously unspoken admissions and explosive allegations that we believe should at least have merited a prosecutorial enquiry. Although by the end of 2016 work on the book had been completed, it took a further six months to address a host of technicalities before it could go to print. In addition to the core team of journalists who compiled the material in the book, reporters and back-office collaborators (lawyers, technical assistants, web designers, etc.) were also part of our nearly 30-member team. They all deserve acknowledgement for their contribution and courage, and for work done with the sole objective of eliciting a public reaction. THE KTB STATE is an example of “spotlight journalism.” However, unlike in the Boston investigation, the victim of the assault here is the Bulgarian State. The chain of all-pervasive corruption that links politicians, institutions, regulatory bodies and certain media is no longer merely an unsubstantiated allegation. As can be expected from a professional and independent journalistic investigation, ours answers the question #WHO, but also other important questions, such as how, how much and—most importantly—what must be done if we are to dismantle the toxic model.